David Hawkshaw playing for Leinster A against Ospreys in The Celtic Cup. Leinster player and DCU scholarship student David Hawkshaw was named Ireland’s under 20s captain ahead of their first U20s Six Nations bout against England. The former Belvedere out-half donned a number 12 jersey as part of Noel McNamara’s team for their clash against England on Friday – winning 35-27 in front of a 5,764 strong crowd at Irish Independent Park in Cork..
Hawkshaw was humble about his achievement, claiming to have been surprised to have even been part of the team. “It’s a massive honour even to be selected for the team, its a group of incredible men never mind being selected as the captain,” Hawkshaw told The College View. Ireland finished third last year, behind champions France and Friday’s opponents England. The 2018 tournament saw Ireland lose by 10 points to France before narrowly beating Italy by four points. Ireland lost their second game of the tournament in a 41-38 defeat at home to Wales before beating Scotland at Donnybrook by five points in another high scoring game, with the game finishing 30-25. Ireland’s heaviest defeat of the tournament last year was at the hands of England, losing 48-15 in Coventry and (speaking ahead of the game) Hawkshaw said Ireland weren’t looking beyond England, with full focus on last year’s runners-up. “We’re not looking past England at the minute, they’re a strong outfit and they’ve shown in the last few years how strong they are at under 20 level so they’re our full focus for Friday evening,” Hawkshaw said. While the England squad are formidable opponents, Hawkshaw appreciates that the tournament is full of difficult matches across the board. He also pointed to the Italian team’s performance against Ireland last year to show the difficulty of each match following the narrow 38-34 victory in Donnybrook. The primary mindset for him at the moment is that the team focus on themselves. 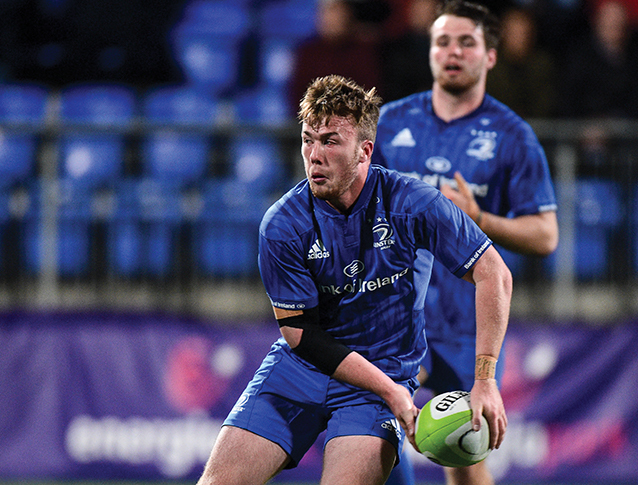 Hawkshaw has nothing but praise for the support systems in place in DCU, thanking DCU Sports Director James Galvin and DCU Rugby’s Development Officer Rob Mullen for the support they’ve offered so far. He said that meeting up with Galvin often has also been beneficial making him more comfortable. DCU Rugby Development Officer Rob Mullen also praised the under 20s captain, calling him a testament to himself and his family. “It’s a remarkable achievement and to see the work he has put in, not just on the rugby pitch but with his studies as well, is a testament to himself and his family. “He’s a great guy and we really do wish him the best of luck,” Mullen said. This year’s tournament is the 12th series of the Six Nations Under 20s Championship with Ireland having won once in 2010 and England having won six times, most recently in 2017 when they lifted the Grand Slam.